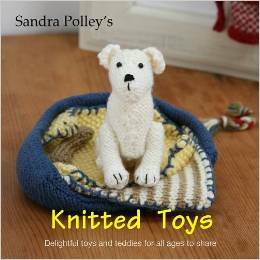 This book includes patterns for playful mice, naughty little rats, christmas reindeer and elves, not to mention hand puppets, minature dolls with a range of clothing and a complete meerkat family. Six beautiful bears in Sandra's signature style are also included. Workshop sections throughout the book, show the knitter how to adapt the patterns to create even more variations. There are projects for knitters of all abilities from beginners to advanced and all the patterns use standard, easily available yarns.